Our story centres around Mei Tachibana who spends most of her life on her own. However, one day she accidentally kicks the most popular guy in her school, Yamato. Yamato is intrigued by this shy, violent, loner of a girl and does his best to try and become a part of her life. When Mei finds herself in trouble Yamato is the only one she can call on and thus this is where our story truly begins. 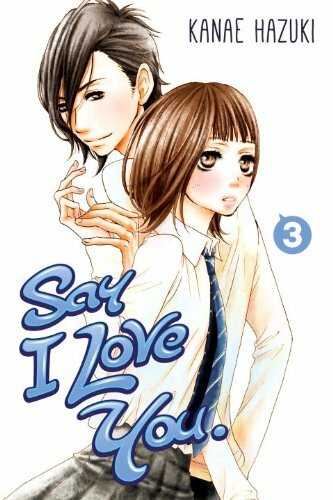 The first two volumes of Say I Love You are firmly focused on Mei and showing us her story and why she’s so shy and reclusive, while at the same time showing her and Yamato begin to date and get close to one another. Mei has a lot of problems to deal with. She doesn’t feel like she deserves to be going out with the most popular boy in school, especially when there are so many better looking girls than her (in her own opinion). Yamato has to push through and prove to her that she’s right for him and deserves him, but at the same time Mei must battle with herself and learn to accept people again. The selling point for this part of the story is that Kanae Hazuki has been through the same as Mei. She’s been bullied and through similar experiences as she explains in her afterword at the back of every book. This all makes Mei more real and for a character in her situation she’s very relatable. Mei and Yamato are solid characters, they have their reasons for being the way they are and as you read through the chapters you want to understand them and learn why they’re who they are now. You want to see Mei do well and make friends while slowly progressing with her relationship with Yamato. The third and fourth volume of the series introduce a major rival for Yamato’s affection and see him make a choice that Mei backs, but later deeply regrets. She must deal with this feelings while struggling to explain to Yamato’s what bothering her and stopping distance growing between them. It’s a cliché among Shojo manga, of course, but at the same time Say I Love You uses it really well. The whole plot is used to develop Mei and Yamato in different ways and to develop their relationship some more. It’s honest, sensitive and down to earth in everything it does. Say I Love You is smart. It ever pushes the story beyond the point of being realistic and always, always keeps it relatable for both young and older readers. Even if you can’t relate to Mei and her problems then you’ll be able to relate to the problems of one of these characters one way or the other. The series tries hard to cover a lot of the common problems teenagers have these days and deal with them in sensitive and relatable ways. It’s most definitely a credit to the series and easily makes it one of the better Shojo series on the market. The artwork for the series is carefully drawn. Character designs can be rough around the edges and a lot of the time we lack a great deal of backgrounds, or backgrounds with a lot of detail, but for the most part this works in our favour. Not having a lot of detail means we can focus on the characters and the words being exchanged. Again, it’s sensitive and honest and doing what it thinks it best. This all comes together to make a series you’ll quickly fall in love with as a thoughtful story. 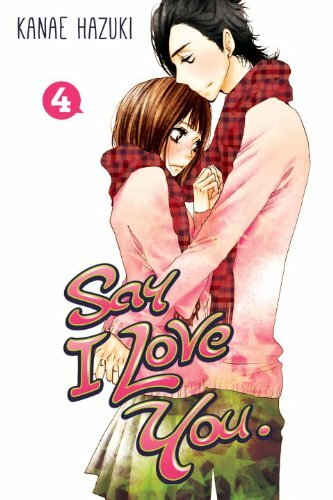 Four volumes in and Say I Love You is still one of my favourite Shojo releases. Kodansha Comics have translated the volumes really well, as always, to give us a high quality release for the price. Fans of the anime will get a lot out of the source due to the manga having a few chapters, even early on, that the anime never really touched. 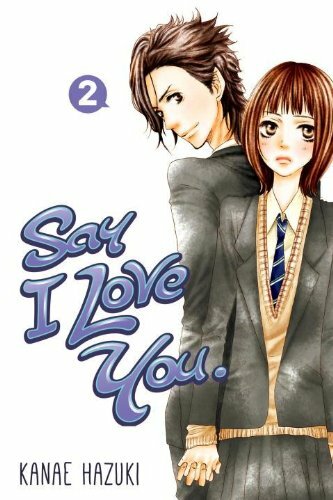 Shojo fans will get a lot out of Say I Love You and I for one can’t wait for more volumes to follow. 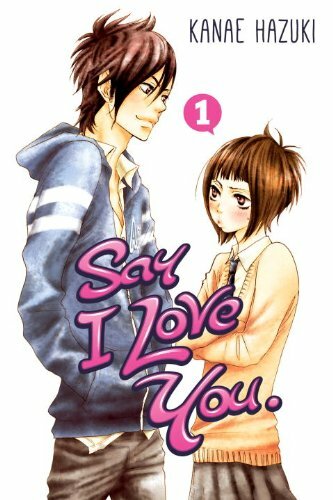 Say I Love You is being released in English by Kodansha Comics. So far four of the currently released 13 Japanese volumes have been released in English with the fifth volume due to be released on the 16th of December.